Movie piracy refers to the illegal activity of making multiple copies of films, without permission, and then selling or hiring these reproductions for profit. Globally, this practice is so widespread that ‘pirate copies’ of some titles are available prior to their public release. It is in the interest of all movie lovers to help stamp out movie piracy. Buying a cheap ‘pirate copy’ of a film might seem like a victimless crime but the repercussions are felt throughout the industry. 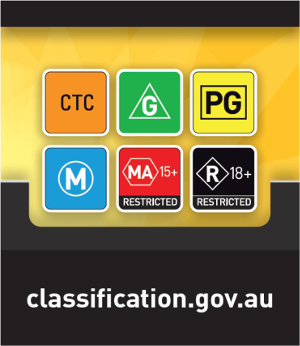 Movie copyright owners have been hard hit, along with cinemas and video rental and retail businesses across Australia. Ultimately, there is less money for the development and distribution of new films. Everyone suffers‚ from actors through to audiences. Threat: The Australian screen industry contributes an estimated $5.3 billion to the Australian economy each year. The jobs of close to 50,000 Australians employed by the film and television industries could be threatened by piracy. A recent study found that $1.37 billion in revenue was lost to the Australian economy as a whole and 6,100 jobs were forgone as a result of movie theft alone. Big Problem: An estimated one in four Australians have participated in some form of film and TV piracy. Although film and TV pirates cite a number of excuses for their behaviour, the primary motivator for Australians of all ages pirating movies and TV shows is that it is free. The screen industry’s continued viability and its ability to invest in creating new content that Australian audiences love, relies on its ability to choose how to distribute their content – which is their legal right. Copyright can be a complex issue but it really comes down to a very simple concept – the freedom to choose. Those who own the copyright in a film or a TV show have the right to choose when, how, and if they wish to distribute their creative work – whether for hire, for sale or to be made available for free. Sharing is beneficial for everyone if it’s yours to share. If it’s not yours to share then you may be exploiting the hard work of others – behaviour best described as “freeloading”. The Australian Screen Association (ASA) represents the film and television content and distribution industry in Australia. The ASA works with the screen community, regulators, authorities, the Intellectual Property Awareness Foundation (IPAF) and the wider community to help protect film and TV content and ensure it is distributed legally and safely. The Australian Federation Against Copyright Theft (AFACT) is the operational arm of the Australian Screen Association and assists in the investigation and prosecution of commercial-scale content theft operations, working alongside state and federal law enforcement authorities around Australia.